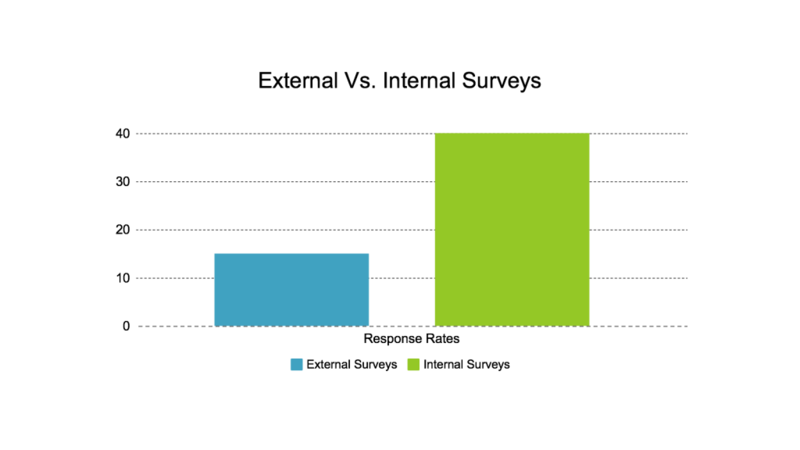 Internal surveys will generally receive a 30-40% response rate on average, compared to an average 10-15% response rate for external surveys. The Freeform team has created a survey model with an average 30% response rate double the average. We want to share those techniques with you. What makes a survey successful? Survey Design: Research has shown that surveys should take 5 minutes or less to complete. Although 6 – 10 minutes is acceptable, those that take longer than 11 minutes will likely result in lower response rates. On average, respondents can complete 5 closed-ended questions per minute and 2 open-ended questions per minute. We’ve created a survey technique that takes less than 10 seconds and organizes results in real time. 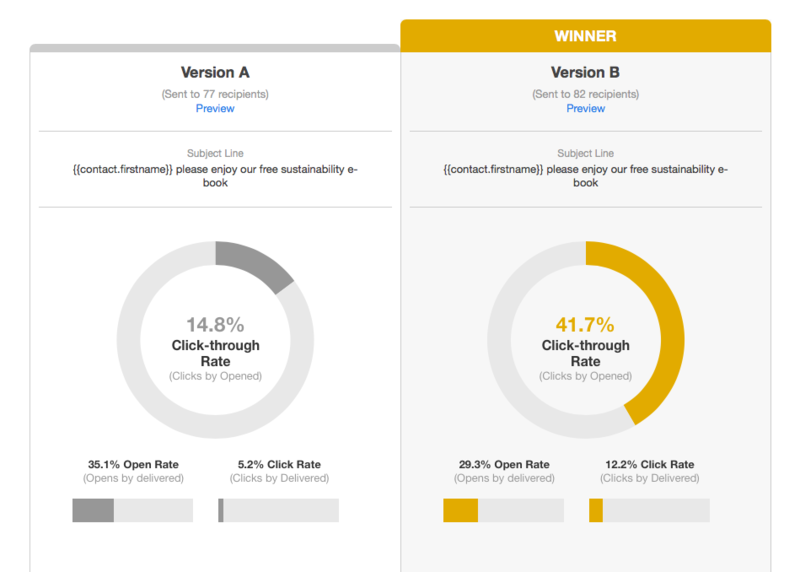 Test Design and outline variations: While you can certainly test a button color or a background shade, you should also consider making your entire survey a variable. Instead of testing single design elements, such as headlines, subject lines and images, design two completely different survey’s and test them against each other. Now you’re working on a higher level. This type of testing yields the biggest improvements, so consider starting with it before you continue your optimization with smaller tweaks. In order to achieve conclusive results, you need to test with two or more audiences that are equal. With Freeform, we automatically split traffic to variations so that each variation gets a random sampling of visitors. Provide Clear Value: Offer a copy of the final results to all those who complete the survey, and, if appropriate, consider offering an incentive. If you plan to take action based on the results of your survey, make those clear in your survey invitation. Remember, people will be more likely to respond if they understand how that time will be spent. Send Reminders: As the close of your survey approaches, gently nudge those who haven’t finished yet. Limit yourself to no more than two reminder emails, changing the time of day and the day of the week that you send them out so that you can reach as many different respondents as possible. Keep it simple: By substituting a single question for the complex black box of the typical customer satisfaction survey, companies can actually put consumer survey results to use and focus employees on the task of stimulating growth. In short, a customer feedback program should be viewed not as “market research” but as an operating management tool. Freeform has narrowed it down to one question, an index ranging from -100 to 100 that measures the willingness of customers to recommend a company's products or services to others. We use it as a proxy for gauging the customer's overall satisfaction with a company's product or service and the customer's loyalty to the brand.